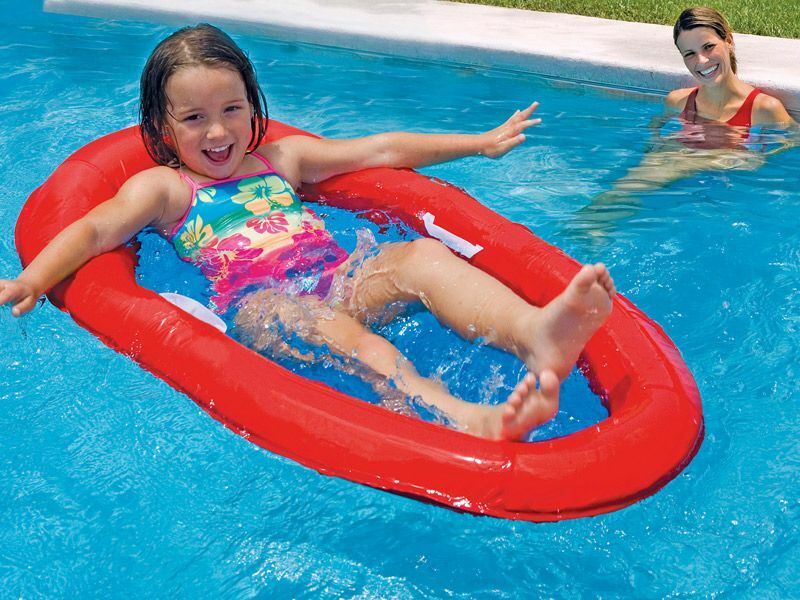 The kids size lilo which pops out of it’s bag and pops bag in again afterwards. All you have to do is blow up the edge! Hours of endless fun!